Paradise Air Inc is proud to serve the Plano community! About Plano, TX - Happy to be your hometown Heating & Air Conditioning Contractor! Plano is a Collin County, Texas city with a population of nearly 270,000 residents. This makes it the 9th largest city in the state by population. It has been designated by Money Magazine as the best place to live in the western United States, and Forbes has also given it the distinction as one of the safest cities in America. Plano is a great place to work as the headquarter city for companies like Frito-Lay, Cinemark Theatres, Dr Pepper Snapple Group, Rent-A-Center, and Pizza Hut, among others. This city is part of a humid subtropical climate zone with hot summers that typically reach the mid-90s. Winters are mild with temperatures in the low-50s. 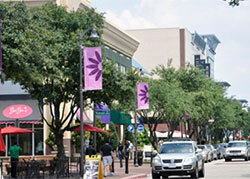 Plano is a major cultural center for the South, so there are a variety of attractions located here. The Interurban Railway Museum and Heritage Farmstead Museum are great ways to learn more about the history of the area, and families may enjoy a day at the Indoor Safari Park. The Art Centre of Plano allows visitors to check out the works of local artists, and there are a variety of specialty shops located in Historic Downtown Plano. Additionally, the Plano International Festival and Plano Balloon Festival are two of the city’s most popular entertainment and cultural events.